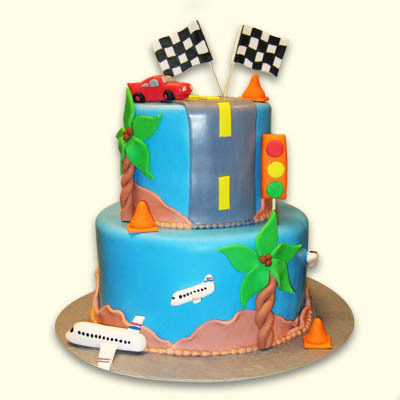 Start Your Engines! 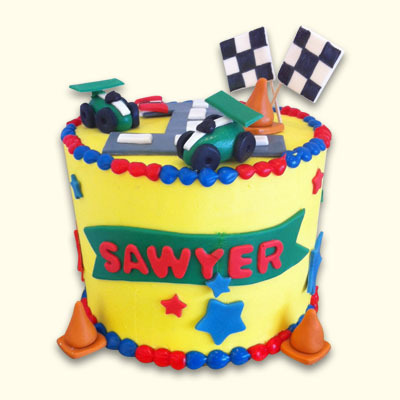 This round cake exemplifies the heart of racing! 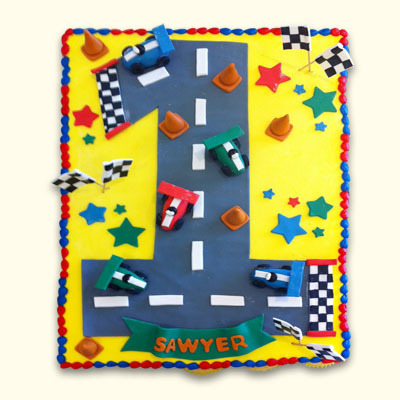 Custom fondant track, cars and banner make this cake perfect for your occasion. 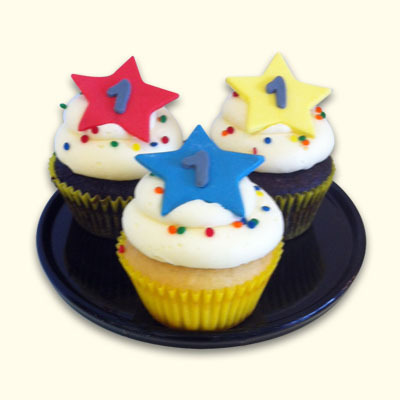 Select cake flavor and icing for your guests to enjoy at your special day.